At Carmeuse, we work closely with you, our customers, in order to analyze your current slag making practice. We define target slag compositions, identify and recommend the right fluxes and help you to implement the process changes. Our goal is to help you produce the highest quality steel increasing your profitability. Within the scope of these analyses, Carmeuse helps you manage the condition that raw materials including iron ore, coal, or scrap typically have. These undesirable residuals called gangue such as silica, alumina (Al2O3), sulphur (S), and phosphorous (P) etcetera. 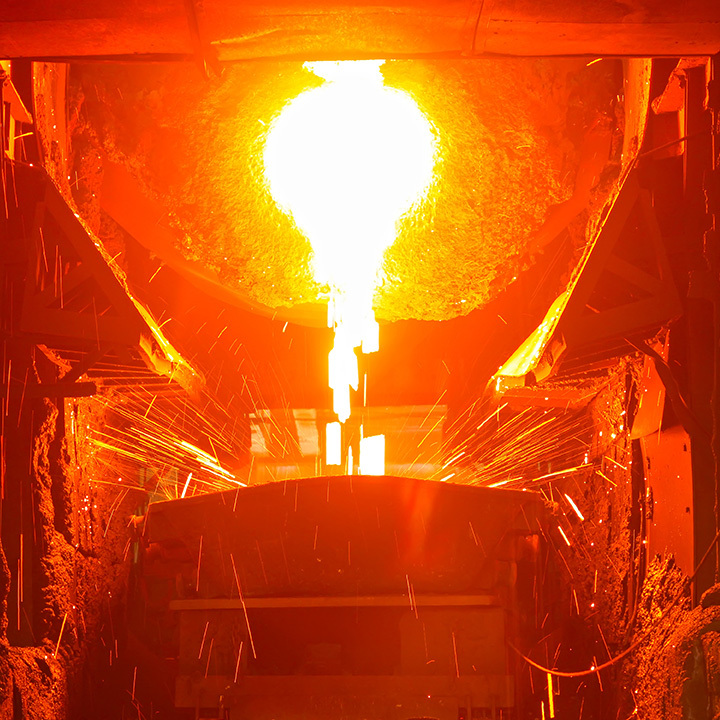 The composition and nature of the slag is essential to steel making. The addition of limestone/dolomitic stone in its natural form or calcined form, to the iron and steel production process removes the majority of the gangue in the slag.